Have you ever thought about working for yourself? Do you have a passion for entrepreneurship? If so, and you receive Social Security Disability Insurance (SSDI) or Supplemental Security Income (SSI), Social Security’s Ticket to Work (Ticket) program may be able to help you on the path to success in self-employment. The Ticket program supports career development for people ages 18 through 64 who receive Social Security disability benefits (SSI or SSDI) and want to work. The Ticket program is free and voluntary. 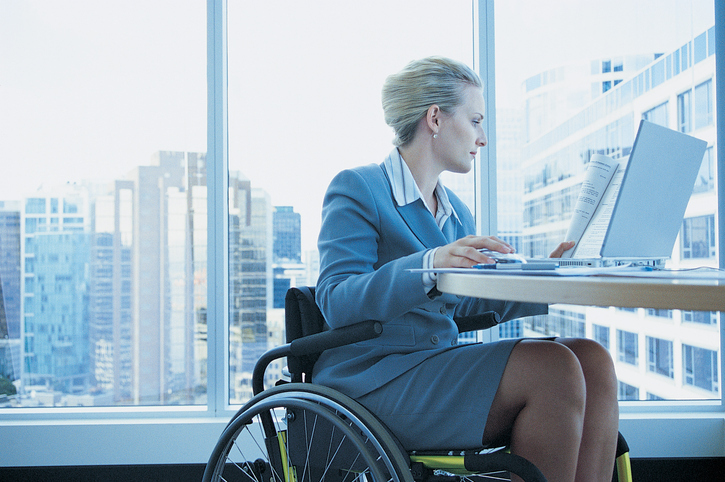 It helps people with disabilities move toward financial independence and connects them with the services and support they need to succeed in the workforce, including self-employment. By participating in the Ticket program, you’ll have access to a wide variety of free services provided by Ticket to Work service providers. They become your “Employment Team,” and support you on your journey to financial independence. You’ll decide whether you’d like to work with an Employment Network (EN) or state Vocational Rehabilitation (VR) agency to develop your self-employment goal and a plan to achieve your goal. Once you and your EN or VR agree to your goal and plan, they may be able to help you develop your business idea, write a business plan, and find funding to help you start your business. Along the way, they can also provide guidance and support, like identifying accommodations, to help you succeed. When you start working with an EN or State VR agency, you may ask if they have a Benefits Counselor on staff. As you start your business and begin earning income, a Benefits Counselor can help you understand how your earnings will affect your cash payments, your Medicare or Medicaid and any other benefits you may receive. A Benefits Counselor can also help you discover Social Security Work Incentives, which help you transition to work by continuing to receive benefits for specific purposes. For example, Unincurred Business Expenses are non-monetary contributions made by others to your self-employment efforts that are no cost to you. These may still be deducted from your earnings as you plan and start your business. Or, a Plan to Achieve Self-Support (PASS) may help you set aside resources to help you start your business. Working with a Benefits Counselor, you’ll learn about Social Security rules that may allow you to keep some or all of your benefits during your transition period. If starting your own business is your goal, the Ticket program may be just the place for you to begin. Once you select a service provider, you can work with them to create a plan and identify the skills, supports and mentors that you’ll need to make it a reality. If you’d like to learn more, the Ticket program offers many different resources. Monthly Work Incentives Seminar Events (WISE) webinars are free to attend and discuss resources and Work Incentives that may be available to as you become a business owner. You can also check out the Choose Work! blog for tips on starting your business, finding a mentor to help support your goals, and learning about your benefits. Subscribe to the blog to get updates on new information that may help you achieve your goals.